PROVINCIAL POST - FR. DENNIS GALLAGHER. A.A. 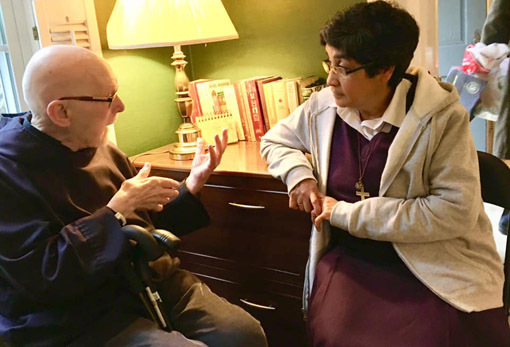 LEADERSHIP OF THE RELIGIOUS OF THE ASSUMPTION VISIT THE U.S.
Sr. Rekha, R.A., Superior General of the Religious of the Assumption and Sr. Sandra, R.A., the General Councilor, recently arrived in Chaparral, NM to begin their visit to the Province. 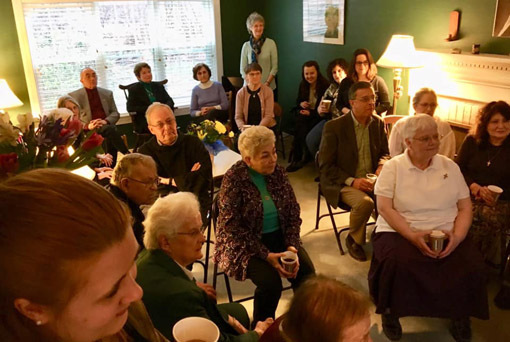 This visit was soon followed by a trip to their Worcester community where they were warmly welcomed to an Open House by their sisters stationed there, the many friends of the community and their Assumptionist brothers. MOMENTS FROM THE END OF THE WORLD by Fr. Barry Bercier, A.A.